Thanksgiving is a time for delicious turkey and visiting with family and friends; it’s also one of the busiest travel seasons of the year. As you hit the road next month, San Marcos Insurance Agency in San Marcos, TX wants to remind you to be safe driving up and down the nation’s highways. 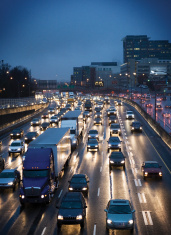 Avoid Congestion: If possible, try to leave the Tuesday before Thanksgiving to beat the traffic. More cars on the road means that the potential for accidents is higher. Before you leave home, check with San Marcos Insurance Agency to ensure that your car insurance coverage is comprehensive enough to cover all liabilities. Replenish Your Emergency Kit: Be sure your first aid kit has all the necessary supplies. Bring several blankets and flares just in case you’re stalled on the road. San Marcos Insurance Agency has a wide range of policies for all of your vehicles, including auto, motorcycle, all terrain, and travel. Fuel Up: Running out of gas is one of the worst scenarios experienced on the road. Keep your vehicle fueled up and check that all fluids are at the recommended levels. In addition to helping you find affordable car insurance, San Marcos Insurance Agency offers policies that carry discounts on travel expenses. Ask the personal insurance experts which ones you may qualify for. Take Breaks: Be sure to get plenty of rest before hitting the road. Pull over at a rest stop or hotel if you’re feeling drowsy behind the wheel. San Marcos Insurance Agency is in the business of offering you coverage that will protect you and your family in case of an accident. The friendly team of agents will gladly provide you with free insurance quotes. These same tips apply for the day after Thanksgiving as well, also known as Black Friday. As you hit the malls for shopping and sales, be aware of your surroundings in the parking lots, be courteous, and keep your vehicle locked. When you’re ready to take another look at your insurance plans, San Marcos Insurance Agency is your neighborhood source. For free, no obligation quotes, call the specialists at (512) 754-7119. Visit the website to learn more about their other policies, including business insurance, health insurance, home insurance, life insurance, and renters insurance.